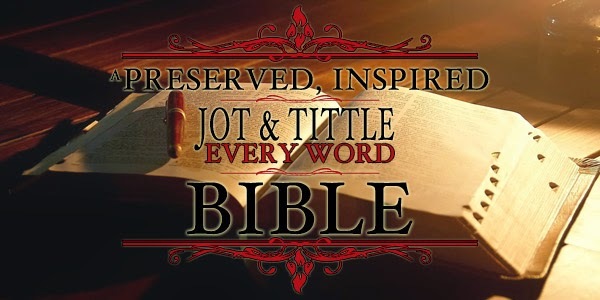 DO YOU HAVE AN EVERY WORD BIBLE? False bibles come from false premises. We have found ourselves downplaying verbal inspiration at the expense of so-called higher education and Christian publications. The attempt by Bob Jones University and other Bible colleges to establish the premise of thought inspiration is, and should be, astounding to fundamentalists everywhere. There is a difference between verbal inspiration, plenary inspiration, thought inspiration, and truth inspiration. Thought inspiration is ludicrous. Truth inspiration is just as ridiculous. Plenary inspiration demands a canon of Scriptures while verbal inspiration demands a word for word Scripture. Accordingly, somebody somewhere ought to stand up for the Words of God via verbal and plenary inspiration. God Himself has promised to deliver preserved inspiration of Holy Scriptures to every nation. America is in a precarious position. On one hand, we find the Charismatics pushing substitutes for the words of God. On the other hand, we find the neo-fundamentalists, like Bob Jones University, pushing thought inspiration and truth inspiration. Both positions are dangerous, and the squeeze is on! Those caught in the middle are the ones attempting to win souls, baptize converts, and send off their young people to be trained to do the same, only in a greater way. Yet, our young people are pressured by so-called Christian television personalities and so-called fundamentalist personalities to be conformed to their beliefs about the Words of God. Consequently, they find themselves questioning the very Words of God. As a result, their faithful man of God back home, who gave them the Gospel, is suddenly ignorant and unlearned when it comes to the Words of God. How tragic it is and how dangerous it is to fool with the lives of these young people that desire to serve God. Satan has always tried to put a question mark on the Words of God, and now Christians are helping him to do so. Please note Deuteronomy 17:19, “And it shall be with him, and he shall read therein all the days of his life: that he may learn to fear the Lord his God, to keep all the words of this law and these statutes, to do them.” God’s people were not sent into captivity because they were not religious. They were sent into captivity because they were atheists in their relationship to the words of God. A substitution for the words of God began to occur among God’s people. Jeremiah 23:1 says, “Woe be unto the pastors that destroy and scatter the sheep of my pasture! saith the Lord.” Notice that the “woe” was upon these pastors. Jeremiah 23:13-14 says; “And I have seen folly in the prophets of Samaria; they prophesied in Baal, and caused my people Israel to err. I have seen also in the prophets of Jerusalem an horrible thing: they commit adultery, and walk in lies: they strengthen also the hands of evildoers, that none doth return from his wickedness: they are all of them unto me as Sodom, and the inhabitants thereof as Gomorrah.” God said some terrible things about the people in these verses. According to verse fifteen, they are “profane” people. In verses twenty-one through forty, God lists many things about these prophets and the people who followed them. Note verses twenty-one and twenty-two, “I have not sent these prophets, yet they ran: I have not spoken to them, yet they prophesied. But if they had stood in my counsel, and had caused my people to hear my words, then they should have turned them from their evil way, and from the evil of their doings.” Because the people had a bad relationship with the Words of God, and then that bad relationship resulted in a life of wickedness, God had to send the people into seventy years of captivity. The nominal Bible student might think that God’s people were sent into captivity because they were whoremongers, liars, thieves, and wicked people. No! This was a nation at its religious zenith. The truth is they were sent into captivity because of the preachers mentioned in Jeremiah chapter twenty-three. Let’s look at and list what God said about the results of these preachers ignoring the words of God and failing to preach the words of God to God’s people, which ultimately caused the captivity of Israel. These preachers caused the temple to be destroyed. They caused the walls around the city to be leveled. They caused famine to come. Mothers ended up killing and eating their own children. It caused seventy years, or two generations of Israelites, to grow up five hundred miles from home under Nebuchadnezzar, king of Babylon, and the kings and kingdom that followed him. Hold it, this captivity was not because God’s people were not religious. They were at a religious peak at this time. God describes these pastors as having a woe upon them, as having folly in them, as having a horrible thing in them, as walking in lies, being like Sodom and Gomorrah. He describes them as being profane, as not being sent by God, as having deceit in their hearts, as having God against them, as causing the people to err by their lies, as being light or shallow, as promised to be punished by God, as wholly forgotten, as forsaken, and as bringing shame and reproach upon God’s people. What a bunch of rascals these men must have been. What did they do that was so horrible? They substituted visions for the Words of God. 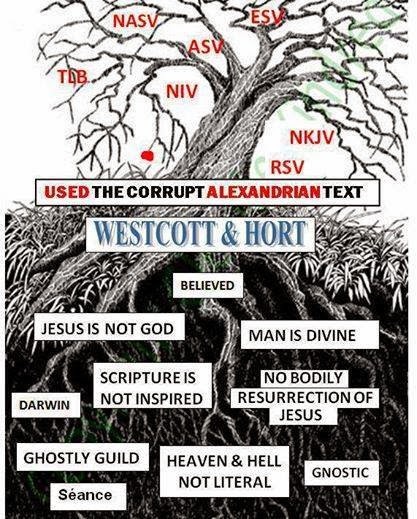 Jeremiah 23:16 says, “Thus saith the Lord of hosts, Hearken not unto the words of the prophets that prophesy unto you: they make you vain: they speak a vision of their own heart, and not out of the mouth of the Lord.” The Bible says in such cases to “hearken not.” Do not listen to them. Why? Because the words they speak are bad seed. The words God speaks are good seed. Such is the case with the Charismatic movement of today. The biggest enemy to the cause of Christ in the world is the modern Charismatic movement. God says to “hearken not.” They caused God’s people to walk in lies. There is deceit in their hearts if they speak visions. They cause the people of God to sin. God says, “I have not sent them.” God says, “I have not spoken unto them.” Thus, God says to His people, “do not follow them.” Men like T.D. Jakes, Rod Parsley, Benny Hinn, Oral Roberts, Richard Roberts, Jack Taylor, Pat Robertson, John Hagee, James Robinson, and TV networks like TBN, and PTL ought to be shunned by God’s people. Why? Because they speak “visions” in place of the words of God. They substituted prophecy for the words of God. 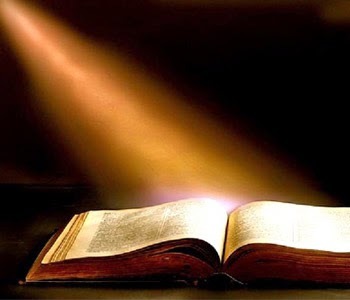 Jeremiah 23:21 says, “I have not sent these prophets, yet they ran: I have not spoken to them, yet they prophesy.” The minute any one of them opens his mouth and says, “I have a word of knowledge from God,” run away from him as fast as you can. By the way, you have no business reading their books. You should get the Bible down and read those words that came from God Himself? God is saying that He wants His people to hear His words, not T.D. Jakes’ words. The size of a crowd does not excite me nearly as much as the size of the truth excites me. God does not want a vision, a word of knowledge, or prophecy, to be given to His people. He wants His words to be given to His people. What America needs is some faithful Men of God who will mount the pulpit and preach the old King James Bible without reservation. In verse twenty-two, God uses the word “then” after speaking of the words of God in reference to revival. We will not have real revival until we start speaking the words of God instead of visions, prophecies, or words of knowledge. Just look at the charismatic movement with its Hollywood influence and worldliness in its dress and its music. Whatever happened to the old holiness crowd with their modesty and old-fashioned preaching against sin? What a shame! These preachers substituted visions, and prophecies. They substituted dreams for the words of God. Who are the people that are guilty of destroying a nation? Who are the people that caused a nation to err and to sin? Who are these who are called “liars” by God Himself? Who caused a nation to go into captivity? Who are the people that caused the temple to be destroyed and the walls to be leveled? Who caused a famine to come to God’s people? Who caused the judgment of God to come like a prairie fire across the land of God in the form of Nebuchadnezzar, king of Babylon, bringing famine, disease, and pestilence? Who are these people? They are a bunch of preachers, a bunch of pastors who substituted visions, prophecies, and then dreams, for the Words of God. They preached visions, prophecies, and dreams. The average charismatic TV program is filled with ninety-nine percent feelings and one percent Scripture, with ninety percent of those Scriptures coming from something other than the King James Bible. Visions, prophecies, and dreams are being substituted on the airwaves in America for the very words of God. God is saying ‘My words are better than your dreams’. Visions, prophecies, dreams, man’s words, and tongues are all false Bibles, and pastors caused all of this misery. Visions are bad seed. Prophecies are bad seed. Dreams are bad seed, Man’s words and tongues are bad seed. All these have become substitutes for the very words of God. 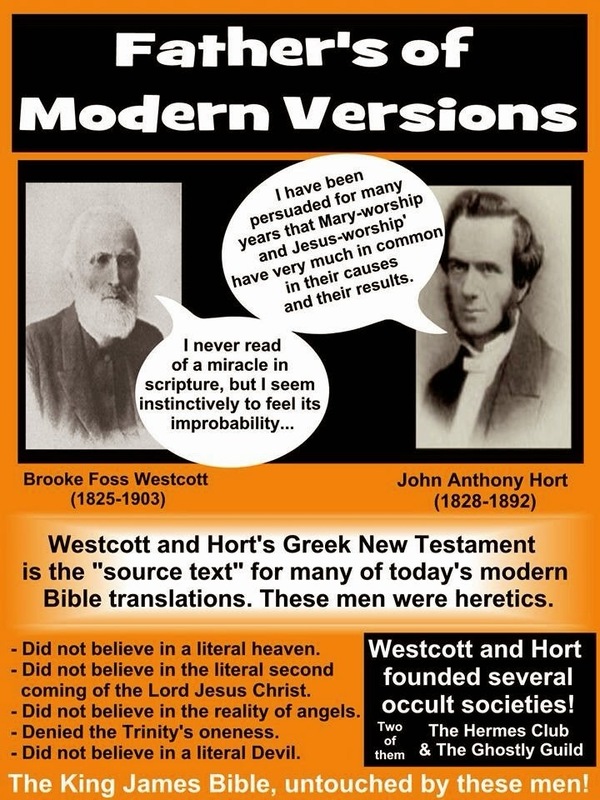 These are just as bad as the NIV, ASV, RSV, New King James Version, Good Speed Translation, and all other perversions of the Bible. The dope crowd will not destroy America. The homosexual crowd will not destroy America. The baby killers will not destroy America. The communists will not destroy America. The Hollywood crowd will not destroy America. If America is destroyed, it will be destroyed because of the pastors who substituted visions, prophecies, dreams, man’s words, and tongues for the very words of God. Our God is not a God of “confusion.” Yet, Satan is accomplishing “confusion” through 1,000 perversions of the Scriptures on the market. God leads me by controlling my mind. In order to control my mind, my mind must be controlled by the Words of God. Thought inspiration or truth inspiration will lead God’s people down an ecumenical path that no one will want at the end. The thoughts of God are put into words called Scriptures. Thus, anyone who teaches thought inspiration or truth inspiration essentially is teaching man’s thoughts above the very Words of God. Let God tell us in His own words His own thoughts, not your thoughts about His words. The Holy Spirit of God is well able to teach God’s people the Words of God. These pastors have substituted burdens for the words of God. A nation destroyed, a temple destroyed, walls destroyed, and homes destroyed; this all happened because pastors substituted things for the very words of God. Good seed is the preserved Words of God, and bad seed is the perverted words of God. The seed is the Word of God, and the new birth comes because of the seed of the words of God planted in the soul by faith. Someone says, “God has laid a burden on my heart.” No, He did not! Jeremiah 23:35 says, “Thus shall ye say every one to his neighbour, and every one to his brother, What hath the Lord answered? And, What hath the Lord spoken?”Burdens are fed and led by emotions, and emotions are the great betrayer of man. That is where the “I feel led” comes from among God’s people. Oh my, it sure seems that the burdens we are so overcome with that lead us sometimes are nothing more than substitutes for the very Words of God. A preacher who unwittingly says, “God has laid the burden of this message on my heart” is making a false statement, according to the Bible. God may lead His mind to choose the message, but it is a dangerous thing to live in a world of burdens as the factor and reason for doing things. God does not tell the pastor what to say. He gives him some people with needs, a Bible filled with answers, and an opportunity to preach those answers. Burdens come and go, but the words of God never change. Let’s avoid thought inspiration and truth inspiration, and stick with verbal inspiration found in plenary inspiration. Let’s quit substituting visions, prophecies, dreams, man’s words, tongues, and burdens for the Words of God. Maybe America can be spared if God’s people will quit buying the counterfeit words of God.